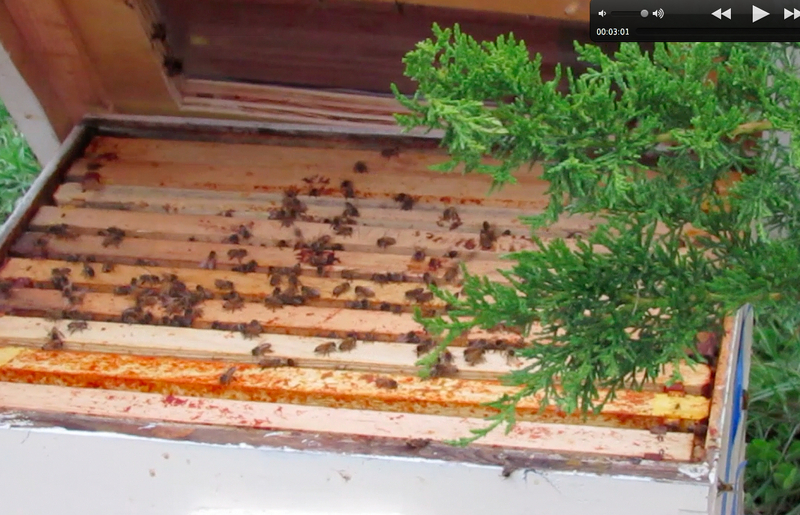 April 22, 2014…Swarm in short tree. 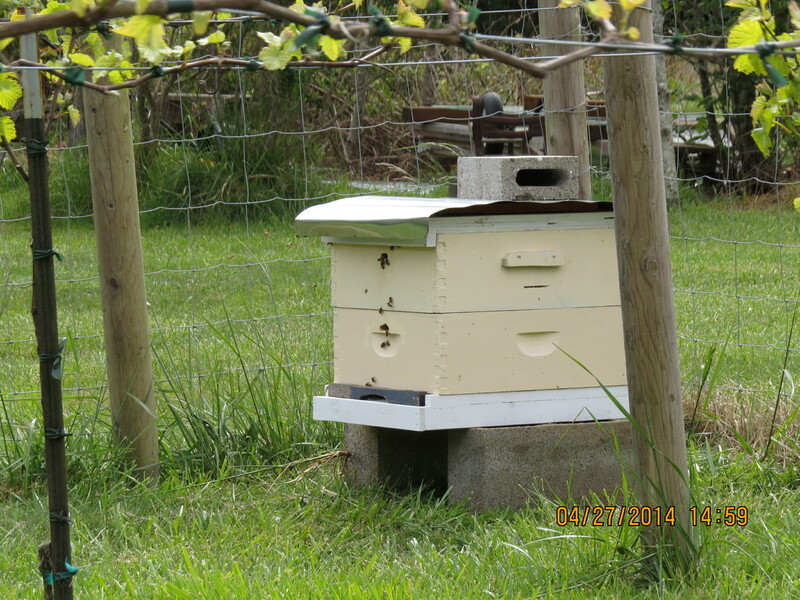 Baited nuc hive very close. 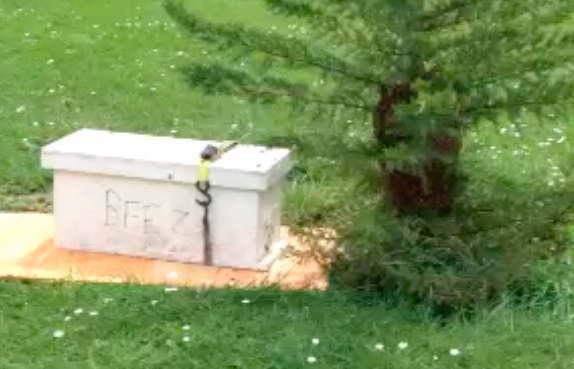 Wife says, “DO NOT CUT MY TREE.” The bees refused to enter this hive. Hal waits four days…no luck. He gets a bigger hive. 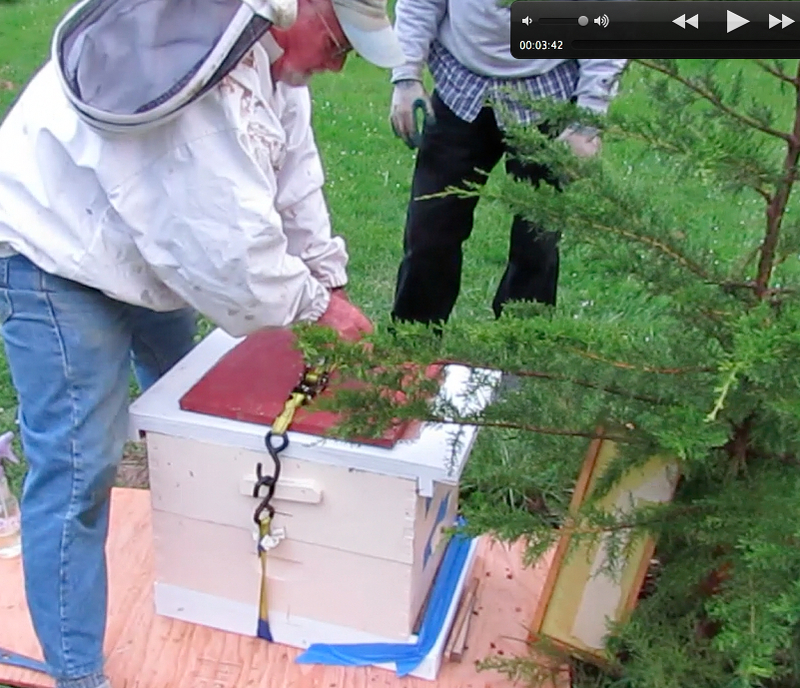 April 24, 2014…With a bigger hive consisting of two Westerns, Hal coaxes the bees in, opens the lid briefly to show us the bees, before closing everything up. Cinches the belt so we don’t have to worry about the hive sliding open and bees flying around our heads while driving back. 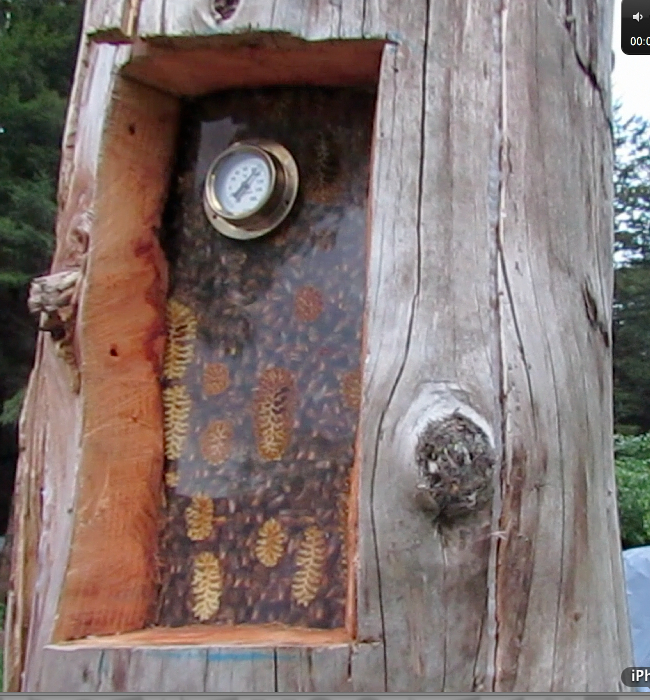 April 24, 2014…This is the log hive where the bees swarmed from. 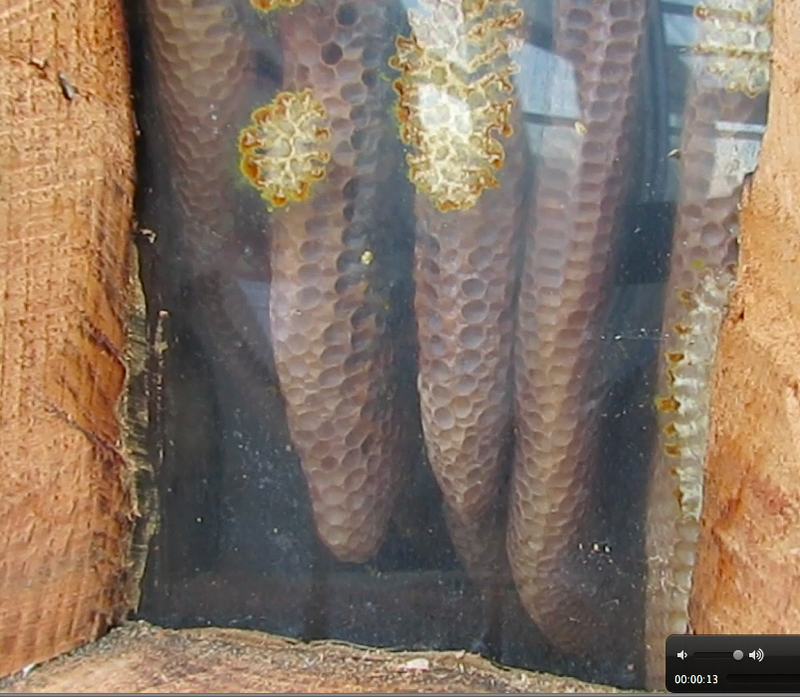 January 22, 2014…Same log hive, many fewer bees which are clustering up high. 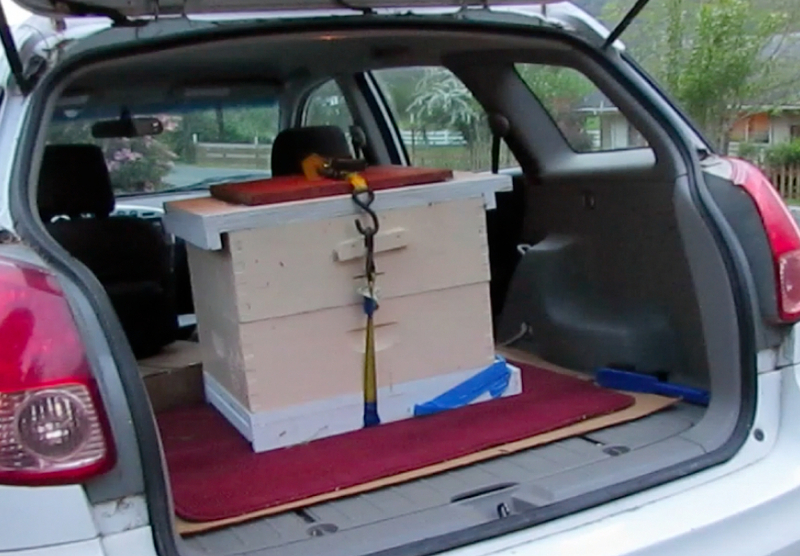 Hive loaded into car, we are good to go! Next morning…Day 1. Bees still here. April 27, 2014…Day 3. The bees are flying well. Looks like they have accepted the move. 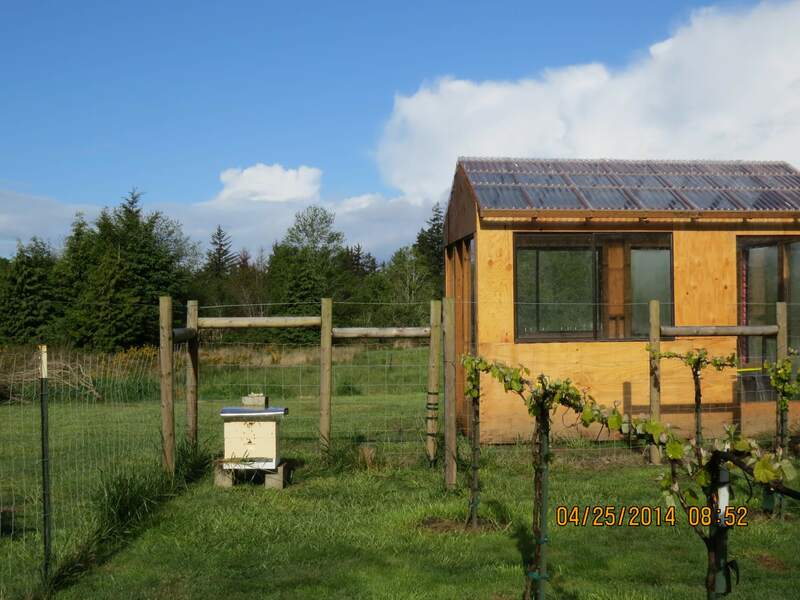 Thank you, Hal, for getting us bees that have not been medicated, treated with mite strips or even fed with anything but their natural unadulterated honey. Four days! We are often warned that swarms generally stay on a tree for only a day or so if not merely a matter of hours. Those bees came through at least one night of heavy rainfall, possibly two. You’re right, I’ve seen swarms break up in half an hour or overnight as in the case about 5 days ago…that was a tiny cast swarm. I guess with swarms it’s unpredictable. I’m thankful to Hal for all the efforts he went through to get me (my neighbor) a swarm. Why would swarming bees be less unpredictable than hived bees? 8) They spend those long winters in cluster devising new schemes to confuse beekeepers. This is really interesting. We’re very busy with swarms right now!